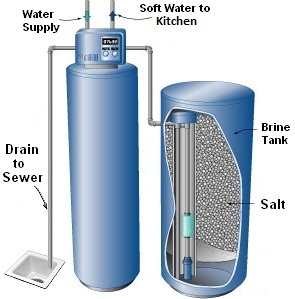 You can make proper use of a water softener only when it is installed and maintained correctly. In this post can learn the key elements of both water softener installation and maintenance. In case you are wondering what purpose a water softener serves, it is a piece of equipment that performs the task of softening the hard water. It can replace minerals including calcium and magnesium with the sodium ions. Note that the job is best done by a Water Softer Service. The basic tools you will need include a drill, glue, and clamps. They will make the drilling, joinery, and fitting of parts be more precise. Locate the right placement. It is good to place the water softener near your plumbing area. 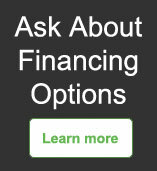 Other viable options can be your garage, basement area, and utility rooms to avoid any disturbance with the function. Check the location temperature. It should not be freezing nor scorching. Also, never install it outdoors to avoid damage. For external hook-ups, you will need a drain-floor or a similar utility that can work like a sink. You should also have an electrical receptacle, the one that doesn’t depend on the switch. Make sure the end of the softener’s drain line is above the grate of the drain. It will prevent malfunction of the water softener. Use pure salt with iron remover. Rock salt can cause the injector and the softener’s control valve to clog as it builds sediment in the brine tank. Using pure salt is a cost-effective option. Iron remover can maximize your softener maintenance. Using it once a year will aid you to maintain a clean resin bed and parts of the control valve for a cleaner water softener. Ensure that almost all of the salt in the tank is used up before refilling it. Refill no more than two-thirds full. Pure salt also contains contaminants. You should clean the brine tank at least once a year to avoid contamination in your water.